Kickstarter is, if nothing else, a risk. All you have to go on is a promise. As we all know, everyone keeps their promises, right? As much fun as it's been to support some interesting, cool, and sometimes massively successful products (or potato salads), things don't always go well. Even experienced developers can underestimate their development costs, forcing them to look for money elsewhere. Sometimes the people who ran the initial campaign just don't deliver on the product at all. 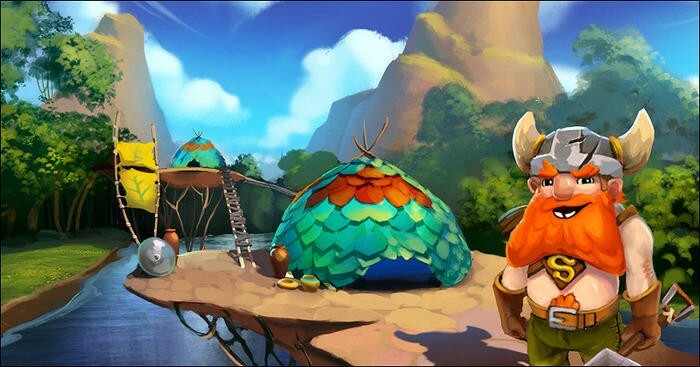 Winterkewl Games has announced the cancellation of its inaugural game, Yogventures, which uses the name and likenesses of the YouTube channel the Yogscast. The game was successfully funded just over two years ago. Requesting $250,000, the campaign managed to raise over $560,000, with 5 backers putting $10,000 to the game and another 5 with $5,000. "If we would have limited the scope and made a solid plan for working more closely with the Yogscast, I have every faith this project would have been a real stand-out achievement in the Indie Game world," said Winterkewl's Kris Vale, one of the lead developers on the game. "However, if you promise the world and don't take into account the amount of time and resources you really need to make good on those promises, you find yourself in a position where you can't move forward without more funds but you can't generate more funds without moving forward." Vale says he had to make the decision to "step aside and allow the game to be taken over by a larger team," and has turned over all work completed to the Yogscast who could eventually have the game finished by another developer, though the Yogscast hasn't actually hinted that such a thing will happen yet. The Yogscast has said, however, that they intend to fulfill rewards to the best of their abilities and have already offered a free Steam key for the Early Access game TUG. As we said, Kickstarter can be a risk. Sure, every developer has to start somewhere, but putting half a million dollars of devoted fans' money behind an unproven, untested developer might not have been the best idea. I don't think this makes a wider statement about whether Kickstarter is a good way to fund games – many games funded through the service have shipped and fulfilled the promises they made. It is a reminder, though, that when you give money to a Kickstarter, it's not a contract – it's a promise that can be broken, and those running the campaign are, as Yogscast co-founder Lewis Brindley said to backers, "under no obligation to do anything."